Why the U.S. Military is Woefully Unprepared for a Major Conventional Conflict 4.4666666666667 out of 5 based on 15 ratings. 15 user reviews. This analysis considers the review of the current US military power. The analysis is made by Brian Kalman from SouthFront Team. Brian Kalman is a management professional in the marine transportation industry. He was an officer in the US Navy for eleven years. Yes, MIC is very corrupted but it is not the only problem. You have so called Deep State, Soros, Rothschild, NGOs, think tanks, banks too big to fail, FED, IMF, Bildeberg, Wall Street, globalization, Obamacare, forced importing refugees for votes to leftists, biased mainstream, censorship and global brainwashing campaign. So basically nobody is working in this world by hands (only some Chinese) and everybody is speculating on markets (or even worse, because people are dumb as assholes, they let computer programs to invest instead living humans). Well, we can see that this illusion of easy living and making unlimited debts has its boundaries. Dow Jones is 6 percent down and all plunge protection team tricks are not able to stop the financial bloodbath third day in a row. So US army is only image of much broader decadence of global human civilization . 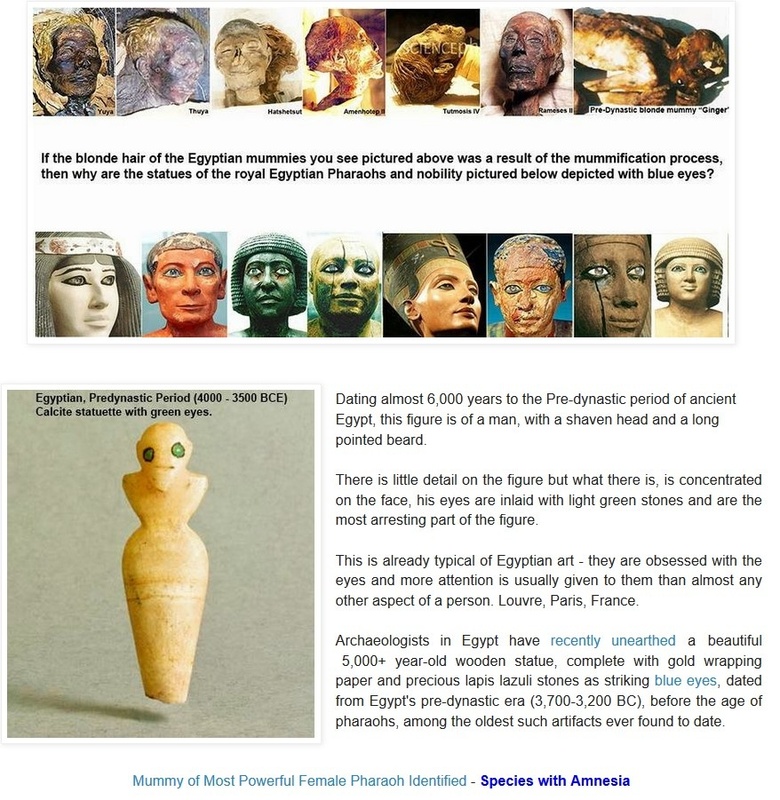 The system is in the final stage very similar to the last years of ancient Rome. Well, Roman imperor Caligula promoted his favourite horse Incitatus as a one member of Senate. Today America has dumbass moron Trumptard-Dotard as a president. Not a big difference, isn’t it ? They ultimately want to fulfill jewish prophecy of a one world government (the United Nations) with its capital in Jerusalem; as well as the mixing of all races and ethnicities into a universal tan man with no roots and easily controlled, obedient workers. 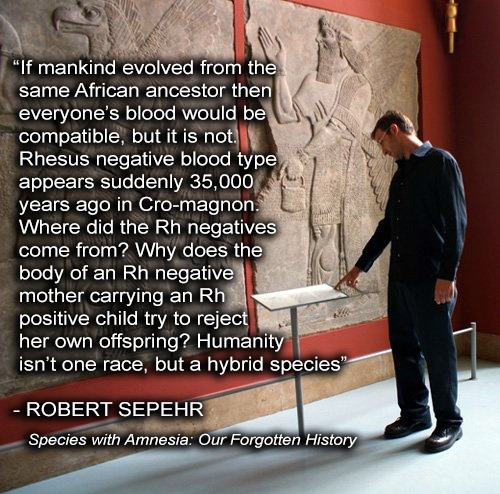 While jews desire this to happen to the Goyim (non-jews), jews want to remain “pure” blooded and this is why most jews do not engage in miscegenation. 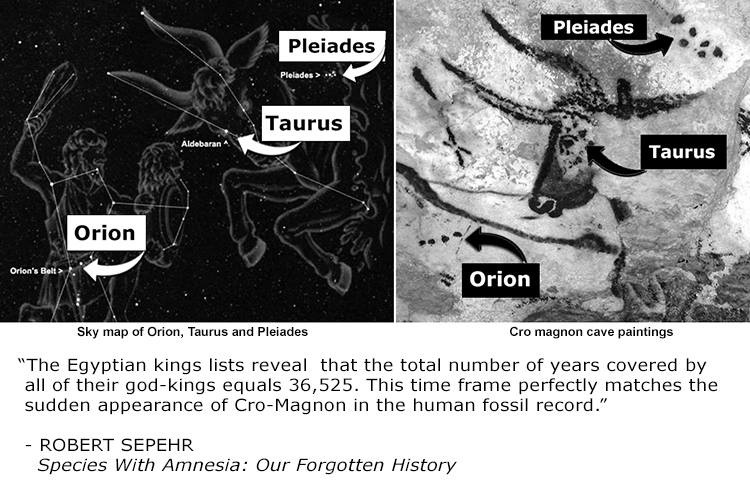 [Since Cro Magnon Man was first discovered in 1868, he has presented fundamental puzzles for traditional scientists. Today there is still no solution in sight for the traditional anthropologists. 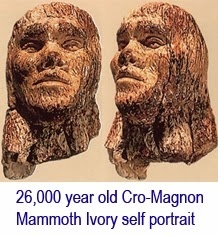 Cro Magnon Man appeared abruptly in Europe and North America, starting from around 35,000 years ago, lasting to about 12,000 years ago. years before the Secret Doctrine was written by Madam Blavatsky. 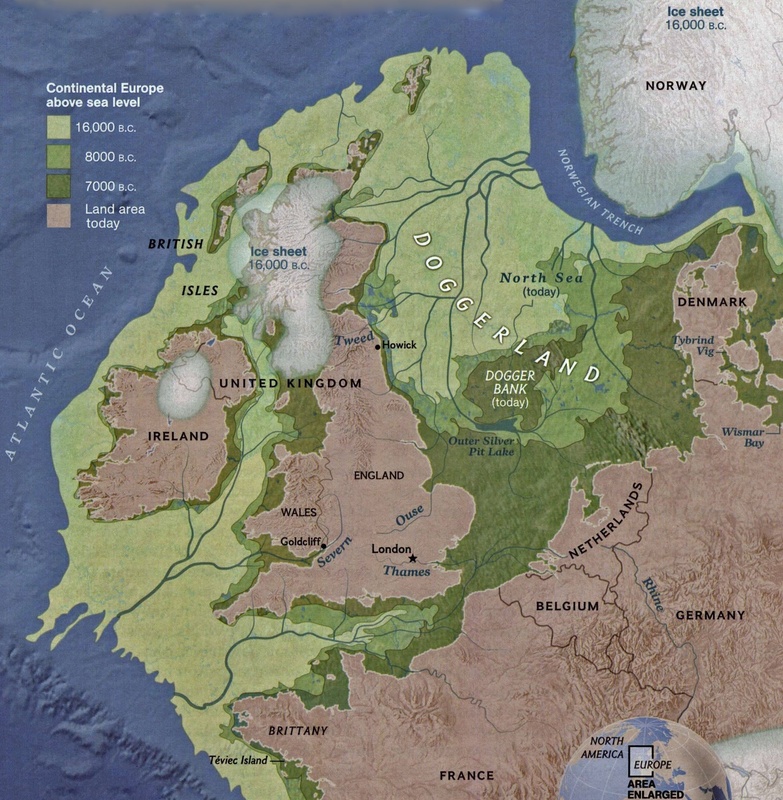 As the polar ice caps melted and shrank in size following the end of the ice age where southern Siberia and other places around this latitude were apart of the Arctic circle, it’s possible that there were White skinned populations of Caucasoid peoples genetically identical to modern day Western and Northern Europeans who moved south to live in warmer climates. However as the world continued to warm, there came great floods that led to more mass migrations and wars that raged in the battle for new land to settle in. And as the climate began to warm further, a number of those who had previously migrated from the north to the south for warmer temperatures began to migrate north yet again to live in more temperate environments; especially when the plains and jungles of North Africa began to experience a lack of rainfall that began the desertification of North Africa and that transformed into the Sahara desert. That’s a lot of material SG. AmeriKKKa is a moronic nightmare for most of the poverty stricken brainwashed population as it spends more on military than the whole world combined while life for most idiots in AmeriKKKa is worse than hell. US is the only OECD country without universal health care. 18% or more of US population lives in abject poverty, especially minorities and less educated males who have lost manufacturing sector jobs. US spends over $2 trillion a year on wars, military and the national security “homeland” police state. US is the only OECD country where life spans are decreasing due to lack of access to healthcare. The article was lengthy. However, it was an excellent summation of the problem as it exists. I agree with the many aspects in the conclusion. Delusion and foolishness, pride before common sense, are prevalent in DoD thinking. An excellent article, first rate in fact. I thank the author. Well done SouthFront. As you state, lengthy; if it wasn’t good, I would not have got to the end. However, it would have been better in 2 x parts for me. I also agree almost with your statement “Delusion and foolishness, pride before common sense, are prevalent in DoD thinking.”….. but you missed greed, which with the US is important. Again, as yourself, an extremely good article and well played author / SF…. PS This is the time for first strike against the US. We are practically wide open. thank God nobody else is interested in controlling the world. No need to enter the US, just eliminate the offshore brigades – and I know they are just kids; so inform them the truth of why and for who they are fighting for. Yes, greed is probably the driving deficiency guiding decisions. The US has been woefully short of things, not only like 155mm shells but, even M-16 ammo. This is inexcusable. No wonder why the Russians and Chinese take things so calmly when people like Pompeo or BN shoot their mouths off. they know with certainty it is hot air. Have a great weekend Al. I agree with you, but it baffles me that other Nato members are keeping such a brave face. The US could have dominated a great percentage of the Globe, with a mix of diplomacy, investment and the military, but they just seem to forget the first two and now, they are in serious panic mode, turning allies into enemies.. for me, I think they are a dead duck walking. US in now universally despised at all levels, especially of time of great tectonic geo-strategic power shift to Asia, Russia and a real multi-polar world. US is now alienating friend and foe alike with bullying, threats and useless sanctions. What the article fails to mention is the US internal weakness, poverty and unraveling socio-economic cohesion with growing racism and fascism. What this article fails to mention is the US sponsorship of global terrorism and destabilization. Any military that becomes a sponsor of terrorists is hardly capable of fighting a modern war. This is hardly news, even a Pentagon internal report in 2015 acknowledged that US military besides being the largest funded military in world history has a dismal record of losing wars. The main reason is that US military is a dumping ground for unemployable white trailer trash now who are obese, dumb and only their for 3 square meals a day. The US is basically a cowardly thug culture that picks fights with the most weak nations and attacks them in a hyena pack and even then losses as it has no strategic vision or staying power. Why can’t the world’s best funded military win its wars? In Vietnam and all the way fast forward to Iraq and Afghanistan, as in subsequent American wars, the United States and its local allies had staggering advantages in all the conventional measures of military strength, yet failed to win and have been bogged down and humiliated. It makes me wonder: If U.S. political and military leaders and the American public remembered Vietnam more honestly, if painful truths hadn’t been cloaked in comforting mythologies, might this country have responded more intelligently and effectively to the violent challenges we’ve faced in the current century with far better armed foes like China, Russia and Iran? I didn’t write that it was news. I stated it was an excellent summation. Your other points are trash and inaccurate. Have fun with the hatred. Not really. Just opinions like Mr. Evil up top. If yours is like his, your opinion is junk too. So, spit it out youngin’, what’s on your mind? US military is overrated and over-funded at the expense of the vast majority of its impoverished population. In every conflict post-WW2 US has either lost or stuck in a quagmire. US spends more on wars than the whole world does on health and education. Hi SG. I read that a lot. I am just waitingto see what happens, after the November sanctions bite and the fallout from it comes in. Until then, all actually involved are not revealing a whole lot right now; except India. I agree with the author, in that nothing is going to change until some level of collapse of the US empire. So much needs changing, repair, realignment, that I don’t see it happening. It will require a frank and honest discussion by the citizens which is inconceivable unless there is a free and objective press. Otherwise the narrative and framework of the discussion becomes meaningless. The weaker the US military becomes, the better in my opinion. Did you see ‘you know who’ – Jacob – was with Killery and Randy-Bill at the October Fest in munich? I agree with the League of Nations article. WW1 was a totally unnecessary war that was essentially a War of Rivalry between ruling families. Many of them also being related rivals. The British Empire was eviscerated by WW1 and the US Empire was born with the profits from supplying many of the weapons. I agree. It puts one in a tough position in talking about the weakened and disfunctionality of the US military and it being controlled by the others and then how it can become a better fighting force, with no real chance of the “deep state” going away. Let them build all the super aircraft carriers and F35s they can. Deep state is a euphemism for Bilderberg Zionist corporations and the military industrial complex whose vested interests are endless wars and terrorism. The deep state doesn’t serve the US military-industrial complex, the US military-industrial complex serves the American deep state which is predominately and disproportionately ruled over by jews (which they’ve admitted to) and is the hub of globalism (aka the jewish world order, alternatively known by its acronyms: NWO; and more appropriately: jWO). Yet to read the article, the number one resource the west is lacking with regard to frontline conventional war is good men willing to fight as criminals. Send slaves to battle and surrender will be your fate. Intent and goal of making war against whatever country, both Afghanistan and Iraq were prime example of initial military bravado efforts with much thoughtful follow through afterwards. In Afghanistan after the Talibans were routed, the US could have attempted (like Russia in Syria) some reconciliation programs to project them as helpers instead of occupiers in order to minimize any insurgency. Same thing in Iraq, after the initial victory, instead of fully disbanding the Iraqi army ( made up mostly of Sunnis that eventually generated the insurgency and eventually ISIS elements) they could have kept the Iraqi army to police and control the country within the scope of US interests. Having occupation troops for extended periods of time and equipping them with thousands of vehicles suited for guerilla insurgency using IED’s, took away the traditional edge of what ground forces should do and the equipment they should employ. Also moral and psychological scars as a result of the occupation left many former servicemen prone to mental illnesses or suicide. The US army does not have the capability to deploy multiple divisions, mechanized or armored, the Abrams A2 tank needs upgrades, the Bradley IFV is inadequate, the Stryker is useless against T14, T90S and T72B3 tanks, T15, BMP3 and BMD 3-4. Russian antitank and overall artilery are far more robust than the US counterparts in numbers and caliber. The US navy regardless of what ships it builds, needs to develop effective antiship weapons capable of challenging or surpassing peer power weapons. The peer enemies of US have a significant advantage in this field, an advantage that is compounded by the introduction of hypersonic weapons, delivered by ship or air. The US naval leg of the triad needs SSN’s and SSBN’s subs, it remains to be seen how they compare with the existing Borei and Yassen Russian subs. Given the lethargic and tedious naval procurement of naval white elephants, the SSN’s and SSBN’s US intends to procure, might be a reflection of new carrier generation and its slew of problems as seen on G. Ford. US Air Force is bound by generation 4 aircraft in various stages of modernization while waiting as the F35 drama unfold, and F22’s effectiveness under different intended ROE remains suspect. I personally think the Suk 35 guided by the S400 radar system can engage the F22 effectively within a kill box if its liking. Nothing new here. The US military is inherently corrupt and a corrupting force. Graft and the destruction of civil society is the main purpose of the military industrial complex. The use of glorified 4×4’s and armoured trucks demonstrates the complete inability of the US to fight against a foe that can fight back. Like the zionist entity the US is only interested in creating chaos by attacking civilians with indiscriminate fire – 4×4 lightly armoured vehicles are ideal for this purpose because they protect the soldiers and are fast within urban areas. However, once opposition fights back the limitations become evident very quickly – urban warfare cannot be fought by unmotivated soldiers hiding in vehicles. The iof baby killers are experts at hiding – especially when inside merkva tanks. The last time the US army fought an infantry war was against the North Vietnamese army and that did not go well. From the end of the Vietnam war to 2018 the US has been reduced to fielding mercs and drugged up lunatics to fight in Syria. It is sad to see all the war junk that has been made to kill the weak and enrich the zionist thugs. Hey SF, why is my post on this thread labeled spam? Hi, thank you for the feedback. It’s approved. This is a superb analytical article addressing so many of the key issues.There seems little doubt that the US Military has been subverted like all US institutions by the most corrupt business regime the world has ever seen under the aegis of the corrupt and fundamentally power obsessed and evil Anglo – American Zionist Bankster – Corporatist Cabal hell bent of establishing a Global Government (read dictatorship), Global Central Bank they own, Global Currency and a Global Military to control this planet. These same people have used every scheme imaginable to bleed the western industrial system white and effectively siphon off all the wealth into their pockets enhancing their overall control of the world economy and financial and political system. The US MIIC (Military Industrial and Intelligence Compex) has long been known to be utterly rife with corruption through to the very top of the US political and legal system with a hugely funded lobby. The US has been the hegemonists principal vehicle for extending their Global Empire since the collapse of the British and French Empires after WW2. These people have manipulated everything one can possibly think of for their own benefit and goals under the veil of a controlled Mainstream Media that has orchestrated the narrative to the electorate. Effectively, they have made complete fools of us all. The state of the US Military is a product of 70 years of their scheming, engineered wars and, as the brilliant US author Naomi Klein discussed in her books “No Logo” and “The Shock Doctrine”, the Globalists biggest and most evil doctrine and scheme, “Disaster Capitalism”, in which target countries are destroyed and their companies rebuild the wrecked economies funded out of aid money and US taxpayers dollars. Necessary for their scheme to work is the installation of a puppet Government controlled by the same Banksters under the aegis of the IMF and World Bank. Policies are crafted by the Wall St “Council on Foreign Relations” (CFR) full of their appointees and totay under their control. If the US wishes to analyse the demise of their mighty military since WW2, they need look no further than the International Bankster Cabal who have controlled the US Government since the creation of the Privately Owned and managed Federal Reserve Bank on Jekyll Island in 1913 by the Rothschild’s – Morgans and Warburg’s. The US has been fighting their wars of regime change, counter insurgency operating to the Hegalian Dialectic of 1) Create a Problem; 2) Creat a Reaction: and 3) Offer the Prepared Solution to the shell shocked and shattered populace of the country you have just ruined. This is an excellent article thank you. The real problem is not that the people responsible are incompetent, but that they are corrupt. These fancy programs were probably never intended to work, just to direct money to the politically connected. All the changes create further opportunities for overcharging. They might as well just give them the money without expecting any products, but that would be a little too obvious. 1. The US is financially broke, fragmented politically amd socially as a nation, with infrastructure that is crumbling. In other words, doubling down on the military (a major contributor to the problem) os probably not the way to go. 2. A hot conflict with nuclear armed near peer adversaries should not even be contemplated without first drawing up contingencies for planetary armageddon and nuclear winter. Robust models indicate that a nuclear exchange of as little as 50 Hiroshima-sized atom bombs per side (e.g., in a regional conflict between India and Pakistan) would have catastrophic planet-wide consequences. The US would be much better advised to invest in training qualified and competent diplomats instead of having the likes of John Bolton, Nikki Haley, and Samantha Powers as its representatives. This may all well be factually correct; certainly the author seems well-informed. And yet, while styled as establishment criticism, there’s still that tenor of “we need moar and better weapons to stand up to the Russkies and gooks”. But neither RF nor CN, nor any combination/alternative, dreams of invading the USA over the objections of their military; for all the latter’s problems, those countries know damn well how that’d end for them. I conclude that the author’s underlying mindset is still that the Armies of Mordor are not a tool of defense, but of offense and coercion. If this is true even of the critics, what hope is there for reform? Very good article and very thorough. It was a confirmation of suspicions, I have had. It is all good. the Evil Empire is on its way to hell. What a most excellent & thorough article, Brian! The threat is not China or Russia, but the corrupt empire that is trying to wage war against Russia and China and Iran. The AngloZionist filth that have driven our country into the ground care not for it’s citizens, but it’s own hegemonic goals as pertains to 9/11 and the following wars of occupation for Israeli expansion and ethnic cleansing of the middle East and theft of resources. In starting Russia and china as enemies, when they are not as well as the propaganda campaign upon Americans to manufacture consent, is little more than INCITEMENT to genocide..
We will NOT win a war with either of these two countries. Yet the US sheeple sleep. Excellent article! Thanks. The problem with our nation is rooted in our turning from the foundational principles of our nation–Christ, Western Civilization, and the moral and ethical values that created America. Once we removed Christ from our schools, from our government, from our military, and from the social and public square, we became like blind men. Money, greed, pride, lies, and arrogance have replaced the Christian character of humility, simplicity, hard work, honesty, faithfulness to biblical principles, etc. The only was to make America great again is to once more put Jesus Christ and the Word of God in the center of our life, our politics, our education, our social lives, etc. The chaos and stupidity in our military is only one symptom of our rejection and neglect of Christ. One of the driving forces that removed Christ from America was the anti-Christ Zionist control in our establishment media, in Hollywood, in publishing and in the Federal Reserve banking system. The Zionist used these sources of power to demand that Christ must be eliminated from our schools, from our entertainment, from our government and from our social lives. They have made it politically incorrect to even bring up the name of Jesus Christ. Very nice. I like Ike. He saw. He Knew. Only wish he had kept the name CMIC instead of MIC. Because the public doesn’t grasp the connection between government(the Military and Congress) and the “merchants of Death” (Defense Contractors). Using CMIC does and I use it in posts. Realize you omitted all “political” reasons for why the US military has grown into what it is, Still realize Clausewitz’s axiom “War” is politics by other means” is truth because its converse is true as well . Politics is war. The actual reason why we fight and why our military has become what it is is not money. The money it costs is only a measure of the actual “Politics” involved.. You might want to privately look at the politics of our war machine rather than its TOE. The military has grown into what it is by fighting and to fight the (Great War on Terror)into the future. It was the nation of Israel that first coined and defined the use of the word “Terror” to describe its enemies. So it has to be noted the The Great War on Terror is in reality “The Great War on Israel’s enemies”. No matter where they are . “Foreign or domestic”. ( a military geared toward counterinsurgency(civilian resistance) Scary indeed.